Automotive equipment, air compressor, power inverter, power converter, battery charger, air purifier, etc. Hunt Power Co, Ltd. is a seasoned company specializing in development and production of a wide range of automotive equipment, mainly air compressors, power inverters, power converters, battery chargers, air purifiers, etc., as well as medical equipment power adapters and other industrial electronics. 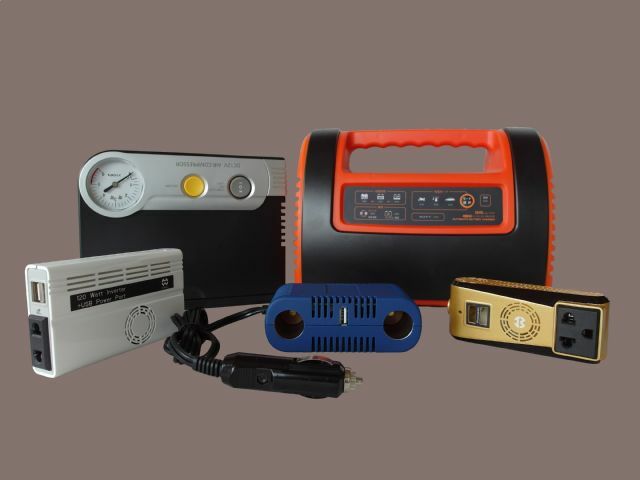 Hunt Power supplies a wide range of automotive equipment, including air compressors, power inverters, power converters, battery chargers, air purifiers, among others. The maker has been delivering quality and innovative products for over 10 years, to international customers especially in Japan, the U.S., Europe, China, etc. All quality products made by Hunt Power meet major international safety standards, such as CE, PSE, UL, etc. The company stresses that its core competitiveness lies in its ability to meet international automakers' quality and safety standards; strong capability in customization; and integrated in-house design and production. The firm further notes that it has an experienced R&D team, which not only stays updated with market trends to create and innovate newer and better products, but also leverages its expertise in related fields to develop products with wide-ranging specifications as voltages, frequencies, weather- and water-resistance. According to Hunt Power, its products meet the IP64 or higher standards as well as the IP67 water-proof standards.